I know there are a few of you out there whose primary emphasis is hard rock gold mining, so this series of posts is primarily targeted toward you. That said, you placer miners out there may learn something valuable here, so I suggest you read on. Although mainly a placer miner myself, I've dabbled in hard rock or lode gold prospecting and mining at certain points over the years. I'm definitely no hard rock expert, but I do have pretty decent knowledge regarding gold ores and lode gold prospecting, mining, and recovery processes. So glean what's of value to you in this series of posts and feel free to leave the rest. Quartz Vein Ores: These types of ores are what you may know as gold in quartz. I call these "free-milling" ores because the metallic gold is visible in the matrix to the naked eye or under magnification and can be crushed, milled, and processed fairly easily in most instances. There can be quite a range of quartz types holding the gold, including pure white or "powdered sugar" quartz that exhibits no other signs of mineralization such as iron staining or other types of oxidation. Occasionally you'll find a few telluride quartz ores but that isn't a common occurrence in my limited experience and understanding. 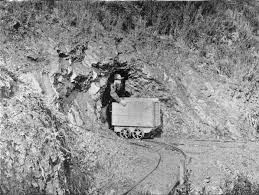 The very rich Homestake Mine in South Dakaota's Black Hills is a classic example of a free-milling quartz lode. Another region containing significant gold deposits of this particular type is Australia's Bendigo Region. Oxidized Ores: I've talked about oxidized ores in other posts here in Bedrock Dreams but I'll hit it again here. An important factor to remember here is that the host materials for oxidized gold ores are not restricted to quartz only. Although quartz is a frequent oxidized host, other types of rock including some greenstones, schists, breccias, and carbonates (as well as others) can play oxidized hosts to gold. Oxidized ores typically show evidence of the reddish rust color of iron-staining or the greens, blues, reds, greys, yellows, and blacks of mineralized oxidation from other metals or minerals like copper, silver, or manganese. 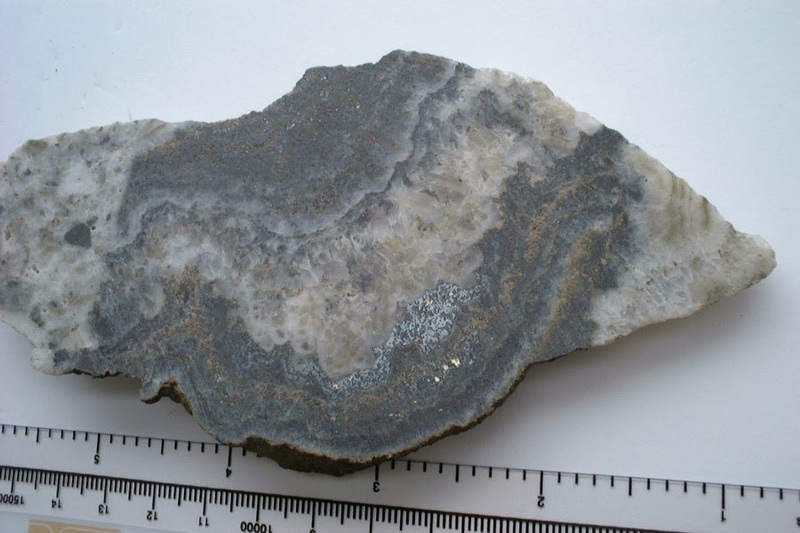 The gold in oxidized ores is usually easily visible and consists of small particles or flakes that are sometimes very numerous in the heavily oxidized areas of the rock or host itself. Many of your pyritic rocks (hosts containing iron pyrite crystals) fall into this category and are always good to check when you're in the field. 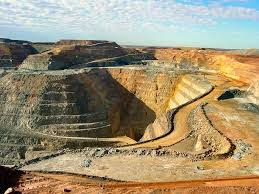 Good examples of mines containing rich veins or lodes of oxidized gold ores are scattered throughout the American West and Southwest, Alaska, Canada, Australia, and quite a few other locales throughout the world. Electrum Ores: The term electrum goes back to the days of the Roman Empire (and even before Rome conquered the known world). To ancient peoples electrum meant a combination of silver and gold and that was its most common definition in those days. The more common name for electrum these days is simply "silver rich." Electrum ores contain silver combined with lower percentages of gold and the Au contained within them is usually recovered as a money making by-product. Another mineral called kustelite is sometimes found in electrum ores along with small amounts of galena (lead). Invariably, the electrum in silver rich ores is visible and free milling for the most part. Here's a tip for you: gold itself doesn't tarnish or oxidize but silver is easily oxidized and converted into sulfides and when this happens it will turn black, dark grey, greenish gray, or bluish gray. Some of the most famous mines containing electrum or silver-rich ores can be found near Tombstone, Arizona. Copper Sulfide Ores: Despite their copper content, these ores can contain quite a bit of gold in both coarse pieces as well as fine particles. Again, the gold in copper sulfides is typically processed as a substantial byproduct, but on occasion the gold can predominate in richer ore bodies. Like silver, copper oxidizes quite rapidly when exposed to the elements and copper sulfides will invariably show the usual colors of this oxidation process: rich greens and blue greens. Copper sulfides are often associated with iron pyrites, so keep an eye open for rocks that show the colors of copper sulfides as well as some iron staining from the pyrites. Although many copper sulfide deposits have been located and worked in the United States, the richest of these are found overseas in places like Mongolia and Tanzania. Iron Sulfide Ores: Unlike oxidized ores, these iron-rich gold ores tend to be widely disseminated across very large areas. Even more problematic is the fact that the gold in iron sulfide ores tends to be in the form of microscopic or submicroscopic particles that are essentially invisible to the naked eye or low magnification. Although one of the most famous of these deposits was located and claimed by an individual gold prospector and miner here in the United States, iron sulfide ores are typically not suitable for small-scale mining operations. I'll go out on a limb here and say that these types of ore bodies are economically impossible for miners like you and I to work. However, if you (like the miner previously mentioned) were to locate and claim an iron sulfide ore body or area, you'd probably be a very rich man or woman once one of the large mining corporations bought your diggings from you. Most of these types of ore deposits are mined in extremely large-scale open pit operations requiring many millions of dollars' worth of heavy equipment, processing gear, and personnel. Iron sulfide deposits are a great example of the old mining principle that states "the more dirt you move, the more gold you'll get." In this case these operations are on a massive scale. Nevada's Carlin Mine is a spot-on example of a large iron sulfide ore deposit. Telluride is a form of tellurium which is often found in refractory gold ores (none free milling). Tellurides form as low temperature gold-bearing solutions in rocks like porphyry via liquid precipitation. That's the best I can do Gary! J.R.
My first guess is that compressor was used for power tools like a jack or drills. See any tailings or ore piles around there? Best, J.R.
Could be galena (lead) and silver...Lord knows Idaho has a lot of that. I'd take a closer look at that rock...me, I'm always curious! Best, J.R.